Creative nonfiction can encompass a variety of personal essay and memoir styles and sub-genres. In this workshop we will experiment with and learn about a variety of creative nonfiction forms including: the braided essay, the lyric essay, personal narrative and memoir, and the hermit crab essay. We will use writing prompts and discuss craft elements from the books: Tell It Slant co-edited by Brenda Miller and Susanne Antonetta and The Rose Metal Press Field Guide to Writing Flash Nonfiction edited by Dinty Moore*. 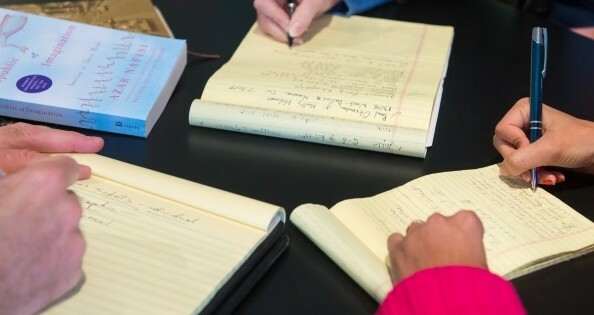 Participants will have the opportunity to explore and discuss a variety of topics including but not limited to emotional truth vs. factual truth, writing about people and places, using research in writing, and how to cultivate a writing practice. By the end of our time together participants will have written and received constructive and useful feedback on three essays of their choice. NOTE: A lot of sensitive personal material will (necessarily) be aired in this workshop, and we’ll all do our best to create a climate of trust, respect, and confidentiality. But in no way should the class be mistaken for group therapy. Our emphasis will always be on how best to convert experience into language. *Purchasing these books is not required but recommended. JASMINNE MENDEZ is a poet, educator and award-winning author. Mendez has had poetry and essays published by or forthcoming in The Acentos Review, Crab Creek Review, Kenyon Review, Gulf Coast, The Rumpus, and others. She is a Senior Contributing Editor at Queen Mob’s Teahouse and the author of two poetry/prose collections Island of Dreams (Floricanto Press, 2013) which won an International Latino Book Award, and Night-Blooming Jasmin(n)e: Personal Essays and Poetry (Arte Publico Press, 2018). She is a 2017 Canto Mundo Fellow and an MFA candidate in the creative writing program at the Rainier Writer’s Workshop at Pacific Lutheran University. You can find more info about her and her work at: www.jasminnemendez.com.